First the mercury contained in the sample is stripped with an air stream and sucked into an optical cell made of fused silica. 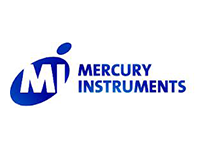 There the quantitative determination of mercury is obtained by measuring UV absorption at a wavelength of 254 nm. This method is commonly known as the "cold vapor atomic absorption spectroscopy (CVAAS)" method. The LabAnalyzers 254 is operated with a waterproof membrane keypad and a graphic LCD. Handling is extremely easy. The LabAnalyzer 254 does not require auxiliary gases. The carrier gas flow required for the analysis is generated by a built-in membrane pump which is maintenance-free and has a long service life. The mercury cannot escape into the working environment, as any free mercury is collected in a sulfurized activated carbon absorber. If the cartridge needs replacement a message appears on the control panel. The analyzed sample no longer contains any mercury.